Bowling has been my #1 participation sport for over 20 years now. I was fortunate enough to get good fairly quickly and I hope I'm not through getting better. The 1995-96 season was, by far, the best I've ever had. My 1999-2000 season begins its second half. So far, I have fired my 9th career 300 game on 01 Oct 99 at Masters Lanes in the Yogi Hart "250" Classic. On that same day (in the early shift mixed league), I reached a personal milestone with my 200th career 700 series. Hopefully, there will be many more to report as the season progresses. My progress will be updated on this page throughout the season. Rambunctious Gang at Northside Lanes, N. Augusta, SC. 4-person mixed team, hdcp, 4-pt system. 20 Mar 00 171-228-236/635 Turned around a slow start with an equipment change and finished well. 27 Mar 00 190-221-245/656 Once again, I had a slow start, but got stronger as the night went on. Mixed Sundowners at Brunswick National Lanes, Augusta, GA.
5-person mixed team, hdcp, 4-pt system. 28 Mar 00 158-221-212/591 Terrible first game. I also left 17 corner pins in this set. Somehow, I still won one bracket! AMF Scratch Doubles at AMF Masters Lanes, Augusta, GA.
2-person team, scratch, no team average limit, team match play, 10-pt system. 22 Mar 00 199-175-145/519 The start of "Hell Week at Masters". Nobody could find any strikes. 29 Mar 00 209-178-203/590 We continue to hold on to 1st place despite the lousy scoring over the last few weeks. 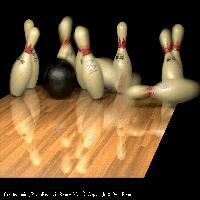 Businessmen's League at AMF Masters Lanes, Augusta, GA.
5-person men's team, hdcp, 5-pt system. 23 Mar 00 202-157-182/541 "Hell Week" continues. This would be my best set (and only 200+ game) for the week at Masters. Ugh. 30 Mar 00 166-216-222/604 I think I only hit the pocket 3 or 4 times. Fortunately, I carried a lot of crossovers and other garbage. Friday Mixed at AMF Masters Lanes, Augusta, GA.
24 Mar 00 190-138-157/485 "Hell Week" concludes. This was simply too disgusting for clean language to describe accurately. 31 Mar 00 206-256-153/615 Wild up-and-down condition tonight. Yogi Hart "250" Classic at AMF Masters Lanes, Augusta, GA.
2-person team, scratch, 400 team average limit, individual and team match play, 20-pt system. 24 Mar 00 116-133-179/428 By this time, I had had quite enough and just used an 8-pound house ball to put in my games and get out. Tournament season began well and I've picked up several checks. Nothing really big so far, but I'm certainly not going home broke! I had to take a few months off due to working midnight shift. Check this page to see how I'm doing as the year continues. (Update: 01 Apr 00) -- BVL No-Tap at Gordon Lanes, Ft. Gordon, GA. First tournament action since spending a few months working midnight shift. The turnout was a bit low for this charity event, but the competition was pretty good. I won this event with a 288-262-254/804 series. The 1998-99 season was an up-and-down year. On the "up" side, I had my first 300 game in three seasons, my 8th 299, my 4th and 5th 800 series (826 and 811), 37 700 series and qualified for the match play round in the "250" Masters Tournament for the 5th consecutive year. I also managed a 6th place finish in the South Carolina Match Game Championship. On the "down" side, I had a couple of lengthy mid-season slumps due, in large part, to recovery from a rotator cuff injury suffered just prior to the beginning of the season. This helped knock my high average for the season down to 216 and also led to too many unsuccessful performances in tournament competition. Additionally, there was disappointment when the Army inexplicably cancelled the All-Army tournament for 1999. Hopefully, it will be reinstated in 2000! The 1997-98 season, by ABC reckoning, ended on 31 July 98. I had an up-and-down season with a few nagging injuries (including a strained rotator cuff) contributing to some irritating inconsistancies in my game. On the up-side, I fired three honor scores and set a new personal record for full-season average. On the down-side, the struggles with my game resulted in a poor overall tournament performance. I got my first honor scores of the 97-98 season on 29 Oct when I fired my first 298 game and third 800 series (809) in the Northside's Finest league at Northside Lanes in North Augusta, SC. The season's third honor score came with my 7th career 299 game on 09 Mar at Northside in the Monday Night Mixed league. 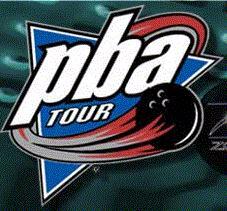 I got my 150th career 700+ series on 18 Feb 98 with a very strong 787 at Brunswick National Lanes in Augusta, GA. I finished the season with 36 700's (high: 809), a high game of 299 and finished my Wednesday night league setting a new personal record for a season's high average with 222. The highlight of the year's tournament action was a dominating performance in the qualifying round of the "250" Masters Tournament. I shot a stunning 6-game qualifying score of 1475 -- 85 pins higher than 2nd place -- and also went on to be the 9-game qualifying leader going into match play. See the full tournament results! Other notable tournament successes were 2nd and 5th place finishes in my first two Southern Majors tournaments. The 1996-97 season, by ABC reckoning, ended on 31 July 97. All in all, I had a decent year even if it wasn't quite as good as my career year in 1995-96. This season's highlights were my performance in the Plamor Classic singles tournament in Huntsville, AL (a 299 game and 780 series in taking 2nd place) and my Augusta Bowling Association season's high series of 252-278-278/808. I had a total of 29 series of 700 or better and ended the season with 124 such series in my career. The 808 was my 2nd career 800 series and the 299 was my 6th such honor game (to go along with seven 300s). My yearbook average for the season was 213, but I did end up a late-finishing league at 216. In other tournament competition, I won a Pro-Am event featuring LPBT star Dana Miller-Mackie and won money in several other events. I pulled off a bowling "three-peat" by shooting 614-728/1342 to be the "Early Bird" qualifying leader in the "250" Masters Tournament for the third consecutive year. Unfortunately, I lost my first two matches in the finals and ended up finishing 27th. The season's highlight had to be breaking the Augusta Bowling Association 3-game series record on 8 Dec 1995 by shooting a series of 299-299-244/842. Other high score awards for the season included five 300 games, three 299 games, a 297 and three 290 games. I also had 51 series of 700 or better and an unsanctioned 800 in winning a Pro-Am tournament headlined by PBA national touring pro Bob Learn, Jr. My high average for the year was 220. I finally decided to test myself at the professional level and competed in three Southern Region PBA events, cashing in two of them and making the match play round in one (finishing 11th with a 9-7 record). I also brought home a check from a US Open Qualifying event in Rock Hill, SC - just missing the cut for match play by 11 pins. I also had great success in amateur tournament competition. Topping the list was taking four 2nd-place finishes and a 4th while cashing in all 8 events in the Georgia State Championship Tournament. I was in 1st place in Scratch Singles, Scratch Team and Handicap Team until the last weekend of the tournament and got bumped out of all of them. I also finished in 2nd place in the scratch All Events with a 2079 total - just 25 pins short. Ranking a close second was my 3rd place finish in the prestigious "250" Masters Club Tournament in Augusta. In this tournament, I shot a 300 game in the winner's bracket semifinals, and lost in the winner's bracket finals despite shooting a 279 game. The "250" Masters Club is open to membership by any bowler who has bowled a game of 250 or better in ABC-sanctioned league or tournament competition. All members are eligible to compete in the William J. Kirchheim, Jr. Memorial "250" Masters Invitational Scratch Singles tournament -- conducted over the last two weekends in April at Masters Lanes in Augusta, GA. The Club also sponsors the Al "Yogi" Hart "250" Masters League -- a scratch doubles league bowling at Masters Lanes on Friday nights. See the 1999 "250" Masters Tournament official final results/prizes listing! See the 1998 "250" Masters Tournament official final results/prizes listing! See the 1997 "250" Masters Tournament official final results/prizes listing! See the final results/prizes listing for the 1998 Senior "250" Masters! The 6th Southeast Bowling Association Tournament began on 31 May 1997 and was hosted by AMF Masters Lanes (team event) and Brunswick National Lanes (doubles and singles events) in Augusta, GA.
See the official SBA Tournament results and prize list! My equipment lineup is currently: Triton TKO Punch, Triton TKO, Ocean Blue Triton, Triton Heat, Triton Elite and Triton Elite Pearl from Track, along with a Violet Offset 3-D Hammer, a Storm Hot Shot, and a Columbia White Dot. I wear Dexter SST IVs, use a Cobra 3 wristband, and carry everything around in a Macho Mule six-ball carrier. Between them, the three sites listed below cover just about everything you'll want to know about bowling. They are packed with news, stats, product information, and lots of other good stuff. They'll also lead you to practically any other bowling-related site on the Net. Try 'em all! DOES BOWLING BELONG IN THE OLYMPICS? Yes, absolutely! Considering some of the other sports that are in the Olympics, I find it incomprehensible that bowling has not yet been included. If you feel the same way, you can make your voice heard. There is a petition circulating on the Net that you can download, print, sign, and send off to the International Olympic Committee that will add your voice to those of untold numbers of bowling enthusiasts. Select "PETITION" to see and download/print it!